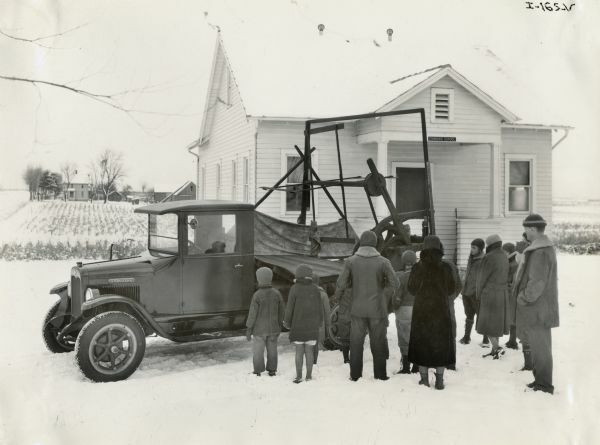 A group of children and adults gathers around an International truck carrying a replica of McCormick's original reaper. The reaper replicas were made for the "reaper centennial" celebration, an International Harvester promotional event. The truck is parked in front of a rural schoolhouse. A small sign over the door of the building reads: "Standard School".